Even a little bit of sand is refreshing along the mostly lava rock coastline. Get yourself comfortable on a lounger, leave all the worries behind and let the vacation begin. Start your morning right: with a fresh cup of coffee and a magazine while enjoying the views from your lanai. The resort boasts a small sandy beach interspersed with lava rock cliffs. The beachfront Castle Kona Bali Kai, a Condominium Resort is located just minutes from the Historic Kailua-Kona Town, but it is secluded enough to offer peace and quiet. The resort is positioned right in front of the ocean, and though the shore is rocky, there is a nice sandy beach area where you can relax. Have the kids get their pool toys and water wings while you grab the sunblock and go for a swim in the outdoor pool. Or lounge on the sundeck and catch up on your celebrity gossip in the latest issue of US Weekly. When it’s time for lunch, stop by your condo to grab burgers, hot dogs, buns, and condiments before heading to the BBQ grills for a fun family cookout. Don’t forget the cheese! Or grab a poke bowl at Da Poke Shack, it’s just across the street. Individually owned and decorated studio to two-bedroom condos sleep two to six guests. Wake up in the morning to the sound of the ocean from your private lanai. Full kitchens are perfect for enjoying leisurely family meals, from pancake breakfasts to your famous lasagna. Let the little ones lend a hand and if things get messy, don’t worry: oceanfront one- and two-bedroom condos have washer/dryers. Have a fun night in thanks to your flat screen TV with cable. Watch a sitcom rerun, or take advantage of your DVD player and have a movie night. Bring favorite movies from home, pop some popcorn and gather the family on the couch. Take a family field trip to the Kona Farmers Market. Open Wednesday through Sunday, the farmers market features over forty vendors. Check out the fresh produce and flowers, try the locally made honey and Kona Coffee. Browse the selection of Aloha shirts and tropical apparel. The locally made soap and dream catchers will make great gifts for loved ones back home. 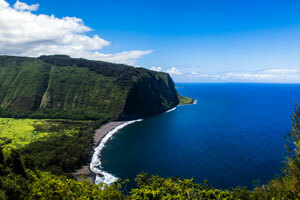 Pick up a few Hawaiian photographs to remember your trip. Up for more shopping? Keauhou Shopping Village has you covered. For Hawaiian Heritage jewelry made by local artists, there’s In the Tropics. Contemporary casual apparel can be found at Jams World. Before heading back to the resort, be sure to stop Kalona Salon & Spa. Treat yourself to a new hairstyle, cut or color. The salon is open Tuesdays through Saturdays and also offers massage treatments, facials, manicures, and pedicures. - Front desk is open from 8:00 AM-10:00 PM daily. Late arrivals need to go to the front gate to be directed to a lock box with the room keys. Please call the front desk in advance to get all check-in instructions. Guests must register with the front desk the next morning.